One of the dangers of a long cross-country road trip, is that in some towns you simply don’t know what you are going to get on arrival. After a long boring drive through Kansas, we were thrilled to find a Starbucks. Usually, they are polite if not ruthlessly efficient in their service. The bathrooms are good and the internet wireless is sharp. The whole family can go in, no matter the location and sit for a minute to compose ourselves. 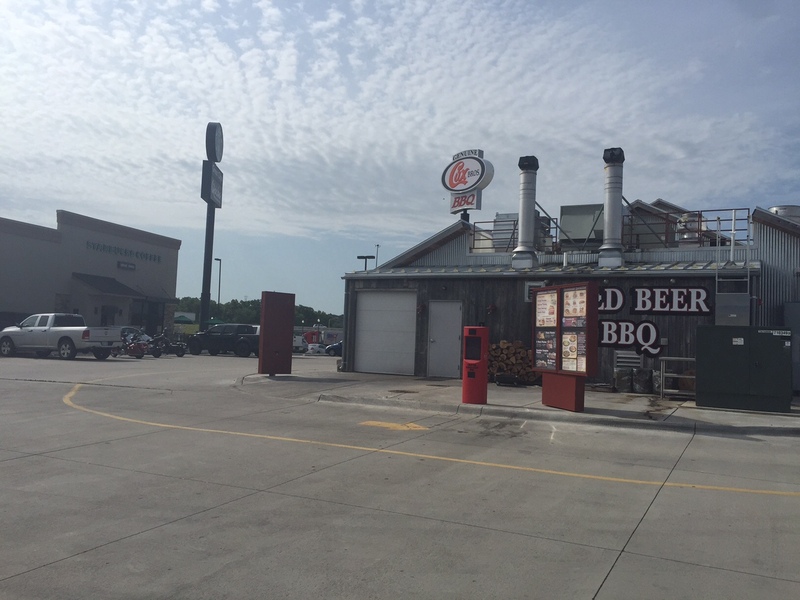 Unfortunately, despite the cool visual of a beer and BBQ place beside it, the rudeness of the morning weekday staff at the Junction City, Kansas was impressive. They seemed to go out of their way to belittle and offend us. At one point I shrugged and said, could we please get our coffees (about a 15 minute wait later…) and received utter silence. Then I said, “I’m sorry I know you are busy but we have been on a long road trip…” – to which I received a nasty response. Mostly we have steady experiences at Starbucks so this was an odd duck, but still I was cursing through the rest of Kansas. Oh well, an adventure, and a minor hiccup!